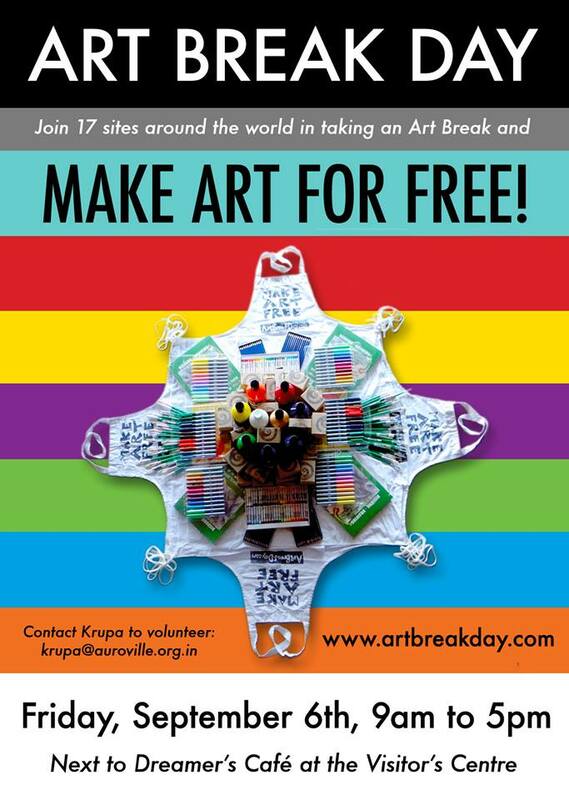 Lauren and her partner, Lisa Rasmussen are the initiators of ART BREAK DAY which this year YOU can experience on 6 September at the Visitors Center in Auroville. I would love to be a part of this.. I recently moved back to india from Australia and would like to be a part of art groups with a difference, creating a change. do get in touch . Previous Previous post: Getting Art OUT THERE!